Back-Roads Touring have announced their exclusive Europe Sneak Peek campaign, inviting guests to save up to $884 per couple on some of their most popular tours for 2019 travel. The deal will be on sale for five weeks from 15 May to 19 June 2018. The early bird special applies to selected departure dates from ten of their most popular tours including Italian Indulgence, Iberian Inspiration and Corners Of Cornwall. Back-Roads Touring Country Manager APAC Dennis Basham said now is the perfect time for travelers to book their dream UK or European holiday. 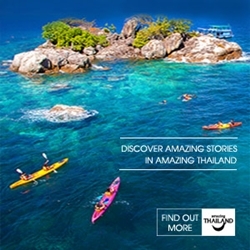 “Catering to the mature traveller, Back-Roads recognises the demand for unforgettable, unique holiday experiences that take customers on an authentic, scenic route of discovery,” he said. “We could not be more excited to present this opportunity for fantastic savings on so many of Back-Roads’ most loved tours, placing the trip of a lifetime well within the reach of both our new and existing customers.